GSAS Micro Systems Private Limited (GSASMSPL) was started in 2010 and incorporated in 2012 by a team of technical experts adept in identifying and providing end to end solutions in the electronics industry in India. It’s our endeavour to bring forth an ecosystem of advanced tools and products to India with the help of partnerships with technology providers worldwide. 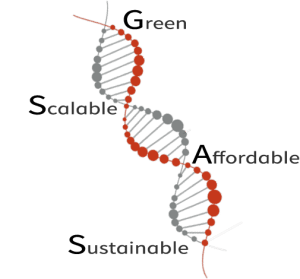 The name “GSAS” is an abbreviation for “Green” , “Scalable” , “Affordable” , “Sustainable” and these echo the strategies we employ to deliver solutions to our customers. At the helm of GSAS Microsystems is Mr. Satyanarayana Gopalam, the Managing Director of the company with over thirty years of experience in the Electronics industry. He is an individual who is well known in the industry for his inspiring, respectful and trusting relationships with partners, customers and employees. In 2010, he incorporated GSAS Micro Systems Pvt Ltd – a firm that believes in success through excellent customer service and strong customers relations. In partnership with several global manufacturers, he was able to build an ecosystem of embedded tools and electronic hardware that empowers customers to focus on their product and time to market in an environment of trust and support. 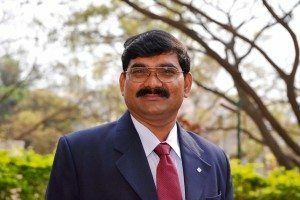 Furthermore, he has been able to deliver a higher level of international expertise through his associations with CLIK – an electronics industry cluster of Karnataka as a President, GIZ and CBI in business support functions through CLIK. The company has seen a phenomenal growth in both revenue and repute in a short span of eight years. He continually seeks new partnerships to ensure that the firm delivers innovative and leading solutions that are green, scalable, affordable and sustainable while helping their partners exploit market opportunities. GSASMSPL is a ZED certified MSME. The “Zero Defect Zero Effect ” model is calibrated to make aware, assess, rate, counsel, handhold,re-assess and certify MSME’s and ensure that they rise up the ZED ladder, thus enhancing their competitiveness in the global marketplace and making them an important cog in the wheel in the “Make-In-India”. GSASMSPL is associated with the Federation of Karnataka Chambers of Commerce and Industry (FKCCI) which is a state level apex trade body in Karnataka , founded by Bharat Ratna, Sir M.Visvesvaraya in 1916. It represents the Micro, Small and Medium Enterprises (MSMEs) in Karnataka which adds about 50 percent of the total revenue of the state. In its proclaimed objectives, the association vows to act as a spokesman for business and industry in the state. GSASMSPL is a NSIC certified organization. National Small Industries Corporation (NSIC), is an ISO 9001-2008 certified Government Of India enterprise under Ministry Of Micro, Small and Medium Enterprises (MSME). NSIC has been working to promote, aid and foster the growth of micro, small and medium enterprises in the country. It operates countrywide through a network of offices and technical centers in the Country. GSASMSPL is a MSME certified organization`. Ministry of Micro, Small and Medium Enterprises (M/o MSME) envision a vibrant MSME sector by promoting growth and development of the MSME Sector in cooperation with concerned Ministries/Departments, State Governments, and other Stakeholders, through providing support to existing enterprises and encouraging the creation of new enterprises. GSASMSPL is a member of India Electronics and Semiconductor Association (IESA) which is the premier trade body committed to the development of a vibrant Indian Electronics System Design and Manufacturing (ESDM) ecosystem and evangelizing the dream of establishing “Brand India” that is recognized worldwide as a go-to destination for electronics products. GSASMSPL is a member of Consortium of Electronic Industries of Karnataka (CLIK) founded in the year 1982, is a Regional Trade Organization located in Bangalore.CLIK’s objective is to promote a vibrant electronic industry in Karnataka. CLIK is a not for profit organization registered under the Societies Act.